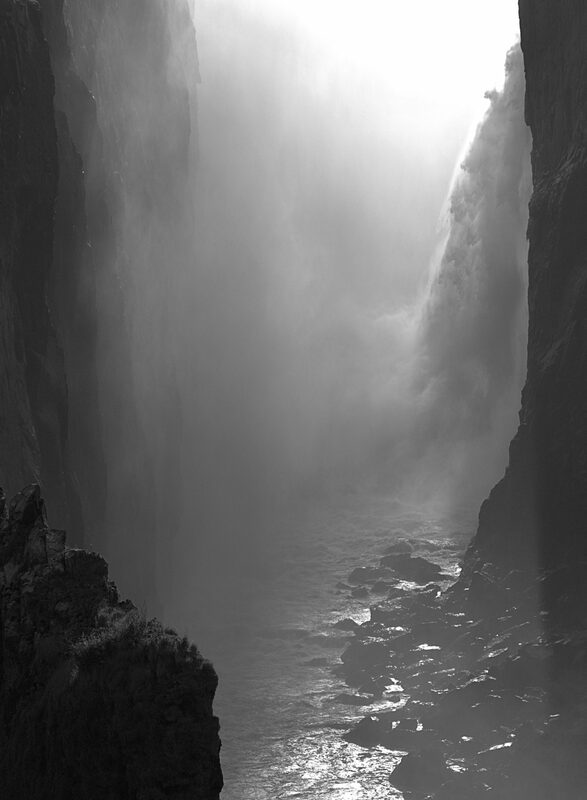 Victoria Falls are one of the largest waterfalls in the world. However, when my wife and I visited there it was the dry season in the middle of a drought. The water flow was greatly diminished, exposing the rocky cliff sides of the waterfall chasm. I took photos of the back lit falls one afternoon a little before sunset. Not satisfied with the results, I went back the next afternoon and captured this image.